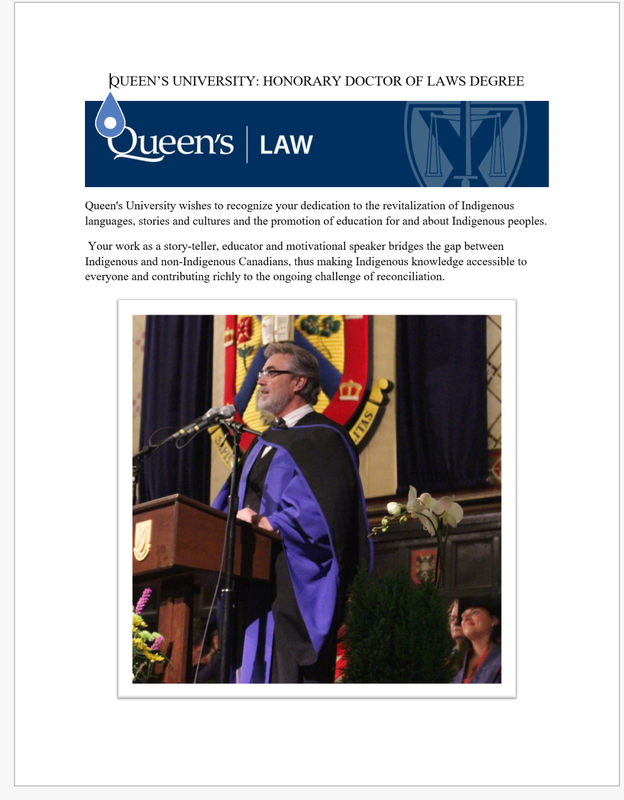 On November 16th, Louis Riel Day, I was humbled and honoured by Queen's. The recipient of numerous national and international literary accolades, including the Governor General’s Literary Award, and the Silver Birch Award, and whose iconic work “If You’re Not From The Prairie” has been included in Macleans’ Magazine’s list of the top twenty children’s books in the history of Canada. A remarkable individual whom we are delighted to welcome to Queen’s, paying tribute to his accomplishments with our highest award.